For other people named John Gould, see John Gould (disambiguation). John Gould FRS ( /ɡuːld/ ; 14 September 1804 – 3 February 1881  ) was an English ornithologist and bird artist. He published a number of monographs on birds, illustrated by plates that he produced with the assistance of his wife, Elizabeth Gould, and several other artists including Edward Lear, Henry Constantine Richter, Joseph Wolf and William Matthew Hart. He has been considered the father of bird study in Australia and the Gould League in Australia is named after him. His identification of the birds now nicknamed "Darwin's finches" played a role in the inception of Darwin's theory of evolution by natural selection. Gould's work is referenced in Charles Darwin's book, On the Origin of Species . Elizabeth Gould, née Coxen (1804—1841), was a British artist and illustrator, married to naturalist and author John Gould. She produced many illustrations and lithographs for ornithological works, including plates in Darwin's The Zoology of the Voyage of H.M.S. Beagle and the Gould's seminal work The Birds of Australia. Edward Lear was an English artist, illustrator, musician, author and poet, now known mostly for his literary nonsense in poetry and prose and especially his limericks, a form he popularised. His principal areas of work as an artist were threefold: as a draughtsman employed to illustrate birds and animals; making coloured drawings during his journeys, which he reworked later, sometimes as plates for his travel books; as a (minor) illustrator of Alfred, Lord Tennyson's poems. As an author, he is known principally for his popular nonsense collections of poems, songs, short stories, botanical drawings, recipes, and alphabets. He also composed and published twelve musical settings of Tennyson's poetry. Guildford is a large town in Surrey, England, 27 miles (43 km) southwest of London on the A3 trunk road midway between the capital and Portsmouth. Ripley Castle is a Grade I listed 14th-century country house in Ripley, North Yorkshire, England, 3 miles (4.8 km) north of Harrogate. The Himalayas, or Himalaya, form a mountain range in Asia, separating the plains of the Indian subcontinent from the Tibetan Plateau. The range has many of the Earth's highest peaks, including the highest, Mount Everest. The Himalayas include over fifty mountains exceeding 7,200 m (23,600 ft) in elevation, including ten of the fourteen 8,000-metre peaks. 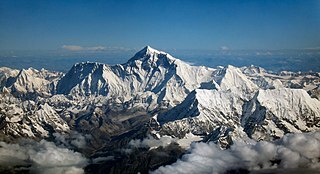 By contrast, the highest peak outside Asia is 6,961 m (22,838 ft) tall. Nicholas Aylward Vigors was an Irish zoologist and politician. He popularized the classification of birds on the basis of the quinarian system. Charles Robert Darwin, was an English naturalist, geologist and biologist, best known for his contributions to the science of evolution. His proposition that all species of life have descended over time from common ancestors is now widely accepted, and considered a foundational concept in science. In a joint publication with Alfred Russel Wallace, he introduced his scientific theory that this branching pattern of evolution resulted from a process that he called natural selection, in which the struggle for existence has a similar effect to the artificial selection involved in selective breeding. The second voyage of HMS Beagle, from 27 December 1831 to 2 October 1836, was the second survey expedition of HMS Beagle, under captain Robert FitzRoy who had taken over command of the ship on its first voyage after the previous captain committed suicide. FitzRoy had already thought of the advantages of having an expert in geology on board, and sought a gentleman naturalist to accompany them as a supernumerary. The young graduate Charles Darwin had hoped to see the tropics before becoming a parson, and accepted the opportunity. He was greatly influenced by reading Charles Lyell's Principles of Geology during the voyage. By the end of the expedition, Darwin had already made his name as a geologist and fossil collector, and the publication of his journal which became known as The Voyage of the Beagle gave him wide renown as a writer. The Zoological Society of London (ZSL) is a charity devoted to the worldwide conservation of animals and their habitats. It was founded in 1826. In 1838 the Goulds sailed to Australia, intending to study the birds of that country and be the first to produce a major work on the subject. They took with them the collector John Gilbert. They arrived in Tasmania in September, making the acquaintance of the governor Sir John Franklin and his wife. Gould and Gilbert collected on the island. In February 1839 Gould sailed to Sydney, leaving his pregnant wife with the Franklins. He travelled to his brother-in-law's station at Yarrundi,  spending his time searching for bowerbirds in the Liverpool Range. In April he returned to Tasmania for the birth of his son. In May he sailed to Adelaide to meet Charles Sturt, who was preparing to lead an expedition to the Murray River. Gould collected in the Mount Lofty range, the Murray Scrubs and Kangaroo Island, returning again to Hobart in July. He then travelled with his wife to Yarrundi. They returned home to England in May 1840. John Gilbert was an English naturalist and explorer. Gilbert is often cited in the earliest descriptions of many Australian animals, many of which were unrecorded in European literature, and some of these are named for him by those authors. Gilbert was sent to the newly founded Swan River Colony and made collections and notes on the unique birds and mammals of the surrounding region. He later joined expeditions to remote parts the country, continuing to make records and collections until he was killed during a violent altercation at Mitchell River (Queensland) on the Cape York Peninsula. Tasmania is an island state of Australia. It is located 240 km (150 mi) to the south of the Australian mainland, separated by Bass Strait. The state encompasses the main island of Tasmania, the 26th-largest island in the world, and the surrounding 334 islands. The state has a population of around 526,700 as of March 2018. Just over forty percent of the population resides in the Greater Hobart precinct, which forms the metropolitan area of the state capital and largest city, Hobart. Rear Admiral Sir John Franklin was a British Royal Navy officer and explorer of the Arctic. Franklin also served as Lieutenant-Governor of Van Diemen's Land from 1837 to 1843. He disappeared while on his last expedition, attempting to chart and navigate the Northwest Passage in the North American Arctic. The icebound ships were abandoned and the entire crew died of starvation, hypothermia, tuberculosis, lead poisoning, and scurvy. Elizabeth died in 1841 after the birth of their eighth child, Sarah, and Gould's books subsequently used illustrations by a number of artists, including Henry Constantine Richter, William Matthew Hart and Joseph Wolf. Throughout his professional life Gould had a strong interest in hummingbirds. He accumulated a collection of 320 species, which he exhibited at the Great Exhibition of 1851. Despite his interest, Gould had never seen a live hummingbird. In May 1857 he travelled to the United States with his second son, Charles. He arrived in New York too early in the season to see hummingbirds in that city, but on 21 May 1857, in Bartram's Gardens in Philadelphia, he finally saw his first live one, a ruby-throated hummingbird. He then continued to Washington D.C. where he saw large numbers in the gardens of the Capitol. Gould attempted to return to England with live specimens, but, as he was not aware of the conditions necessary to keep them, they only lived for two months at most. Gould published: A Monograph of the Trochilidae or Humming Birds with 360 plates (1849–61); The Mammals of Australia (1845–63), Handbook to the Birds of Australia (1865), The Birds of Asia (1850–83), The Birds of Great Britain (1862–73) and The Birds of New Guinea and the adjacent Papuan Islands (1875–88). Gould had already published some of the illustrations in Birds of Europe, but Birds of Great Britain represents a development of his aesthetic style in which he adds illustrations of nests and young on a large scale. Sotherans Co.  reports that Gould published the book himself, producing 750 copies, which remain sought after both as complete volumes, and as individual plates, currently varying in price from £450 – £850. The University of Glasgow records that the volumes were issued in London in 25 parts, to make the complete set, between 1863 and 1873, and each set contained 367 coloured lithographs. Gould undertook an ornithological tour of Scandinavia in 1856, in preparation for the work, taking with him the artist Henry Wolf who drew 57 of the plates from Gould's preparatory sketches. According to The University of Glasgow  Gould's skill was in rapidly producing rough sketches from nature (a majority of the sketches were drawn from newly killed specimens) capturing the distinctiveness of each species. Gould then oversaw the process whereby his artists worked his sketches up into the finished drawings, which were made into coloured lithographs by engraver William Hart. There were problems: the stone engraving of the snowy owl in volume I was dropped and broken at an early stage in the printing. Later issues of this plate show evidence of this damage and consequently the early issue – printed before the accident – are considered more desirable. The lithographs were hand coloured, and, in writing the introduction for the work, Gould states "every sky with its varied tints and every feather of each bird were coloured by hand; and when it is considered that nearly two hundred and eighty thousand illustrations in the present work have been so treated, it will most likely cause some astonishment to those who give the subject a thought." 5 volumes, folio (580 × 350 mm). Finely bound by Tuckett (binder to the Queen) in contemporary full green Morocco, spines elaborately gilt in compartments, raised bands, ruling and elaborate floral rolls to boards gilt, yellow coated endpapers, all edges gilt. 367 fine, handcoloured lithograph plates by Richter and Hart after Gould and Wolf, heightened with gum-Arabic. A number of animals have been named after Gould, including those in English such as the Gould's mouse. A visit to Gould in his old age provided the inspiration for John Everett Millais's painting The Ruling Passion . The Gould League, founded in Australia in 1909, was named after him. This organisation gave many Australians their first introduction to birds, along with more general environmental and ecological education. One of its major sponsors was the Royal Australasian Ornithologists Union. His son, Charles Gould, was notable as a geological surveyor. Joseph Smit was a Dutch zoological illustrator. Henry Constantine Richter was an English zoological illustrator who produced a very large number of skillful coloured lithographs of birds and mammals, mainly for the scientific books of the renowned English 19th century ornithologist John Gould. The Mammals of Australia is a three-volume work written and published by John Gould between 1845–63. It contains 182 illustrations by the author and its artist H. C. Richter. It was intended to be a complete survey of the novel species of mammals, such as the marsupials, discovered in the colonies of Australia. William Matthew Hart (1830-1908) was an English bird illustrator and lithographer who worked for John Gould. ↑ Stephen, Leslie; Lee, Sidney, eds. (1890). "Gould, John" . Dictionary of National Biography . 22. London: Smith, Elder & Co. pp. 287–8. 1 2 Waterhouse, F H (1885). The dates of publication of some of the Zoological Works of the late John Gould. R H Porter, London. ↑ Russell, Roslyn (2011). The business of nature : John Gould and Australia. Canberra: National Library of Australia. ↑ Stephens, M. (2005). "Patterns of Nature: The Art of John Gould at the National Library" (PDF). National Library of Australia News. 15 (7): 7–10. ↑ Cayley, N. (1938). "John Gould as an Illustrator". Emu. 38 (2): 167–172. doi:10.1071/MU938167. ↑ Gould, John (1832–1837). The Birds of Europe. John Gould, London. ↑ Sauer, G C (1985). "Forty years association with John Gould the Bird Man". Archives of Natural History. 1: 159–166. doi:10.3366/anh.1985.013. ↑ Gould, John (1837). Icones Avium. Richard and John E. Taylor, London. ↑ "Elizabeth Gould · John Gould: Bird Illustration in the Age of Darwin · KU Libraries Exhibits". exhibits.lib.ku.edu. Retrieved 2018-12-27. ↑ Sulloway, F J (1982). "The Beagle collections of Darwin's finches (Geospizinae)" (PDF). Bulletin of the British Museum (Natural History), Zoology Series. 43 (2): 49–94. Archived from the original (PDF) on 16 May 2012. ↑ Sulloway, F J (1982). "Darwin and his finches: the evolution of a legend" (PDF). Journal of the History of Biology. 15: 1–53. CiteSeerX 10.1.1.458.3975 . doi:10.1007/BF00132004. ↑ Ashley, Melissa (2013). "Elizabeth Gould, Zoological Artist 1840-1848: Unsettling Critical Depictions of John Gould's 'Laborious Assistant' and 'Devoted Wife'". Hectate. 39: 101–122 – via EBSCO. ↑ Biography – Charles Coxen – Australian Dictionary of Biography. Yarrundi was a property on Dart Brook near Scone, New South Wales. ↑ "Mammals of Australia, key plates [picture]". Digital collections. National Library of Australia. Retrieved 1 November 2008. ↑ McEvey, Allan (1968). "Collections of John Gould Manuscripts and Drawings". The la Trobe Journal. 1 (2): 17–31. ↑ Anon (1885). "A guide to the Gould collection of Humming-birds" (4 ed.). British Museum (Natural history). 1 2 "University of Glasgow – MyGlasgow – Special collections – Virtual Exhibitions – Birds, Bees and Blooms – Birds – John Gould: The Birds of Great Britain". Gla.ac.uk. Retrieved 17 September 2017. 1 2 "Henry Sotheran's – Birds of Great Britain". Sotherans.co.uk. Retrieved 17 September 2017. ↑ Beolens B, Watkins M, Grayson M. (2011). The Eponym Dictionary of Reptiles. Baltimore: Johns Hopkins University Press. xiii + 296 pp. ISBN 978-1-4214-0135-5. ("Gould", p. 104). ↑ Beolens, Bo; Watkins, Michael (2003). Whose Bird? Men and Women Commemorated in the Common Names of Birds. London: Christopher Helm. p. 146. ↑ Anon (2009). "Migrating waterbirds: international postage paid envelopes and aerogrammes" (PDF). Stamp Bulletin. 300: 14. ↑ Snow, John (1855). On the Mode of Communication of Cholera (2nd ed.). London: John Churchill. p. 53. Chisholm, A. H. 1938. Out of the past: Gould material discovered. Victoria Naturalist 55:95–102. Gould, John. 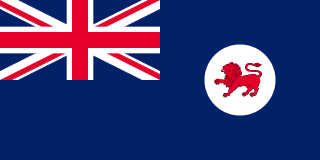 1840–1848. The Birds of Australia: in seven volumes . Maguire, T. H. 1846–1852.Portraits of the Honorary Members of the Ipswich Museum (George Ransome, Ipswich). Stephen, Leslie; Lee, Sidney, eds. (1890). "Gould, John" . Dictionary of National Biography . 22. London: Smith, Elder & Co. pp. 287–8. Sauer, G. C. 1948. Bird art and artists; John Gould. American Antiques Journal 3:6–9. Sauer, G. C. 1983. John Gould in America. In Contributions to the History of North American Natural History. London, Society for the Bibliography of Natural History Special Publication No. 2:51–58. Serle, Percival (1949). "Gould, John". Dictionary of Australian Biography . Sydney: Angus and Robertson. Wikimedia Commons has media related to John Gould . A. H. Chisholm, 'Gould, John (1804–1881)', Australian Dictionary of Biography, Volume 1, MUP, 1966, pp 465–467. The Mammals of Australia – Series of high resolution images taken from the 1845 edition.